The new F20 comes in long and short shaft versions with remote, electric or manual start tiller handle, or optional multifunction tiller control, and is expected to be available in the spring of 2019. 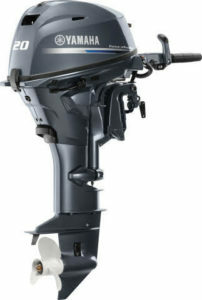 KENNESAW, GA – Yamaha Marine’s F20, the latest addition to its portable power product line, is big on performance and features. Combining power, efficiency and convenience, the all-new four-stroke outboard is a perfect fit for boaters limited to 20-horsepower. 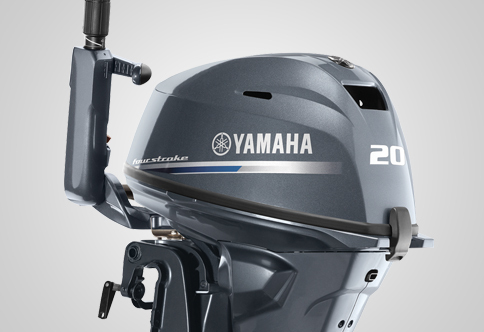 The new F20 is built around the F25, an Innovation Award-winning outboard that immediately set the industry standard. Modified ECU mapping and a redesigned camshaft allow the new F20 to harness the huge potential of this platform and optimize the performance of every one of the twenty horses available. The F20 features an alternator that produces up to 16 amps of power, 60 percent more output than the previous generation F20. 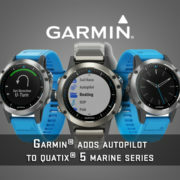 There is also ample electrical power for battery charging with plenty to spare for additional electronic equipment. 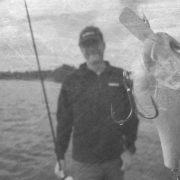 The variable trolling rpm switch makes the F20 the perfect fishing companion, while the easy to use fresh water flush attachment makes the outboard simple to clean at the end of the day. Built-in ergonomic carry handles and two-position resting pads make it easy to remove and store the F20. Customers can choose manual start configuration, using Yamaha’s battery-less Electronic Fuel Injection (EFI) technology, to power their boat with minimum rigging requirements. Yamaha offers a range of electric-start configurations, all with the added peace of mind of factory installed manual pull start. 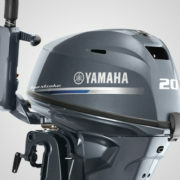 Yamaha Marine products are marketed throughout the United States and around the world. Yamaha Marine Group, based in Kennesaw, Ga., supports its 2,000 U.S. dealers and boat builders with marketing, training and parts for Yamaha’s full line of products and strives to be the industry leader in reliability, technology and customer service. 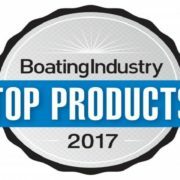 Yamaha Marine is the only outboard brand to have earned NMMA®’s Customer Satisfaction Index (C.S.I.) Award every year since its inception. 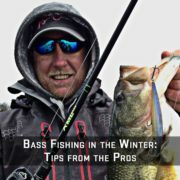 Visit YamahaOutboards.com.